Beyond basic bookbinding workshops, The Thistle Bindery endeavors to create special activities and outreach events that aims to bring the art of bookbinding closer to everyone. This resonates with the practice’s twin objectives of making bookbinding accessible and relevant to everyday live and to also do charity / good at the same time. 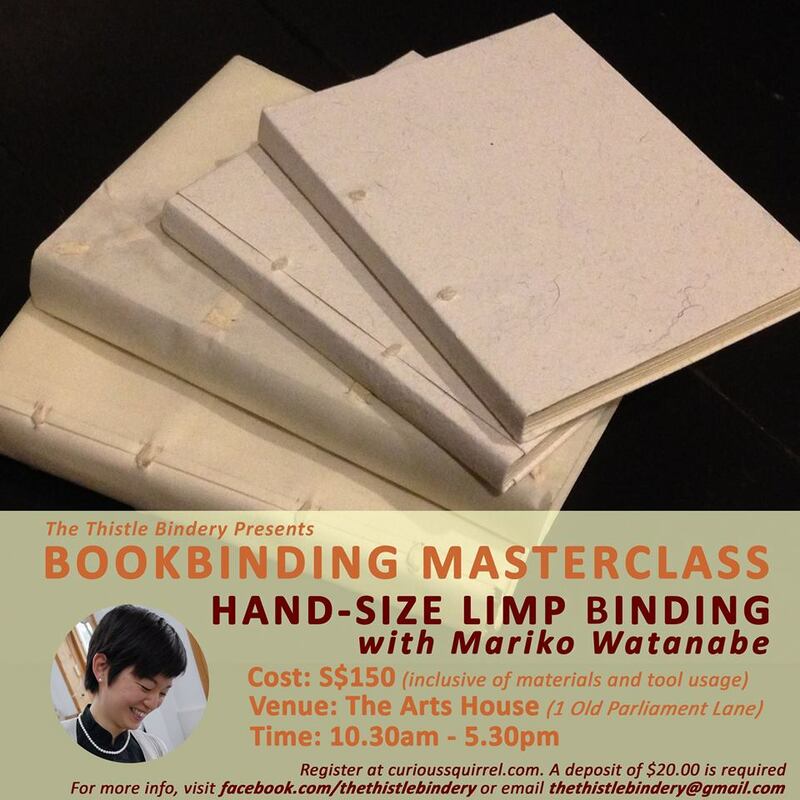 Apart from these two objectives, these special activities also serve to connect professional bookbinders and makers worldwide with the bookbinding community in Singapore, and to allow budding bookbinders in Singapore to be involved in organising and co-instructing these activities. Follow the links on the pictures below to find out more about some of the past special events and activities, coined ambiguously as “Bookbinding + “, the art practice had dabbled in.